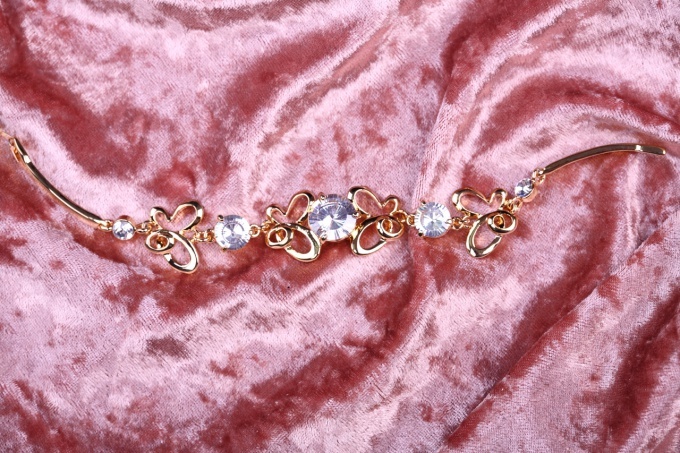 To jewelry jewelry long retain their beauty and Shine, they need to be cleaned regularly. Only it should be done correctly to avoid possible damage to decorations. First and foremost, pay attention to the materials from which made decoration. Depending on what you want to clean – gold, silver, or the product with precious stones, different care for jewelry jewelrymi. Cleaning gold ukrasheniya. Take regular dishwashing detergent and make a soapy solution at the rate of 1 teaspoon of detergent per Cup of warm water. Put the solution in Golden decorations for a few hours, then rinse them under cool running water. 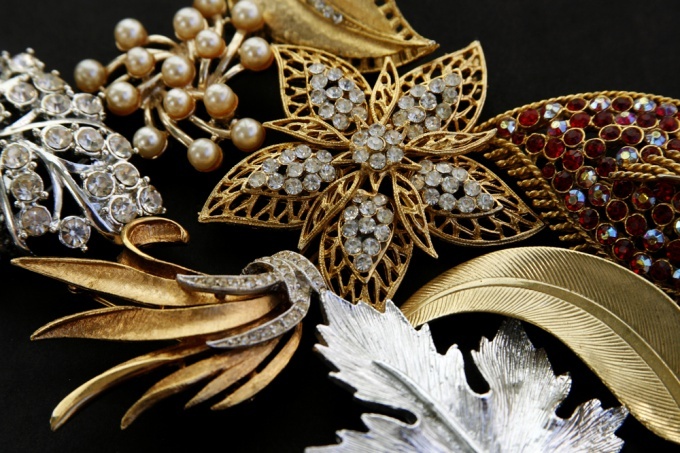 This method helps to clean gold jewelry jewelry from contamination.b. If jewelry made of gold is greatly darkened with time, chop the onion to a mushy state (on a grater or blender) and RUB this paste jewelry. Allow jewelryto soak for about two hours, and then rinse with cold water. The darkening should fade.with. Put the Shine back in dull gold decorationsm by using a solution of ammonia (1 teaspoon to 0.5 liters of water). Put the jewelry in the solution for 10-15 minutes, then rinse with cold water. Cleaning silver izdeliya. For cleaning silverware, as in the case of jewellery, you can use a soapy solution and a solution of ammonia. But if the silver is blackened, then ammonia should be avoided.b. Silver jewelry is well cleaned with a toothbrush and tooth powder. Toothbrush thus it is better to use as smooth as possible. Instead of tooth powder you can try to clean the silver conventional toothpaste, but not having a bleaching effect.with. Heavily soiled silver jewelry may be cleaned with a soft cloth with a paste made from a mixture of baking soda and water (soda should be diluted to a mushy state). Use this method with caution because of the marked abrasive properties of the baking soda can scratch the jewelry. Cleaning jewelry with kanyamibwa especially careful when cleaning jewelry, decorated with stones. Jewelry with precious stones like diamonds, sapphires, emeralds, rubies, and aquamarines, can be cleaned with soap and water. This method of cleaning is also suitable for jewelry with some semi-precious stones – beryls, topazes and quartz varieties (amethyst, rock crystal, agates, chalcedonies).Cleaning jewelry with stones of organic origin (amber, pearls, corals) should be especially sensitive. Amber and corals can be washed in warm soapy water, but not very strong. Then the decorations should immediately rinse under running water and dry. But prolonged contact of the pearl with water is not desirable, so it is better to clean with potato starch. Expensive jewelry in the process of operation, luster, consistency, and smoothness of its surface. Entering into a reaction with different substances of the environment, they don't look like the amount that was paid for them. Caught early defects are easily disposable, it is important to properly care for your rings, earrings, bracelets and necklaces. Cleaning gold. To the gold quickly faded you should not wear it on myself all day. While working on the farm, bath, gold jewelry better off. Especially if you want to work with aggressive mediums (bleach) or abrasives. Clear gold from the RAID and return him to Shine in the following ways:- Dilute in a glass of water a spoonful of detergent and soak in it golde product is about half an hour;- Mix of ammonia, hydrogen peroxide and liquid detergent in equal proportions. This solution put the gold in 5 minutes. After rinse it under running water and towel dry. This method is suitable for removing heavy dirt. Avoid getting the solution on the skin and mucosa to cause burns;- For the night put the jewelry in a solution of sugar. Then rinse in clean water. This procedure will help to give the gold glitter, but the pollution will not deliver. Cleaning the stones. Every time after wearing, jewelry with stones should be cleaned with a suede or flannel cloth. These wipes usually wipe the glasses, so you can buy them in the near optics. Stones with a hardness less than 5 on the Mohs scale, including stones of organic origin (coral, amber, pearls) need delicate handling. To clean them, you have the following compositions:- cleaning solution for the kitchen without abrasive or soapy water;- highly diluted ethyl alcohol with ammonia;- to wipe rubbing alcohol - sugar solution. Hard stones (diamonds, chrysolites, emeralds, aquamarines, sapphires) attract grease and dust by friction, they lose their luster. To return to its former greatness, enough to wipe the brush with soap and rinse with water. Be cleaning very fine abrasive compounds that do not are able to scratch the hard stone. If jewellery is very dirty and you can't get rid of dirt, take them to a jewelry store. There they were cleaned in an ultrasonic bath, then be sure to apply a special mineral oil, which penetrates into the smallest cracks on the surface of the stone, and then it sparkles like new.